I have some excitement to share! Today marks TWO YEARS of Strength and Sunshine! On June 26th 2013, I posted my first blog post. Kinda crazy! It seems like a lot longer than 2 years actually. I don’t even remember what was going through my mind when I decided to start! All I can say now is it’s been one hell of a journey and always evolving. Strength and Sunshine has changed so much over these two years and I think I finally found my true “niche” so to speak. If you’ve been a long time reader, you can tell that my posts have changed from “healthy living” during the first year, to tons of yoga and life discussions last year. Now, the last few months, I’ve decided this blog’s purpose, and the one I really have passion for, is being a healthy Celiac and food allergy recipe and support blog. I feel “right” when that’s what I post about, talk about, and do. Of course, I’ll still throw in yoga musings every so often and other random posts, but ultimately, Strength and Sunshine is a food blog and resource for those with restricted diets. I love being able to provide for that community and show the world that Celiac Disease and other food allergies and restrictions do not mean cooking, eating, and living have to be hard and fulfilling! + What Do You Love About Yourself? There is a lot to love about yourself, even if it’s uncomfortable at first! There is that thing called eustress which is good stress that we need! You’ll never have all the answers, so curiosity and asking good questions is essential! I think this was beautifully written! Wow, these are fabulous to know! Not all decisions are easy, the future is scary, but that’s okay! Sometimes you need to check-in and take a look at what your doing or not doing! Easy poses to help with so many problems! Really, this would be so fun to try one day! Once you master the art, you’re life will change forever 😉 Really I could hang-out there all day! Let’s just get back to what yoga really is. Mmkay? Because sweating does a body good! Well my cardio IS HIIT! Wouldn’t have ti any other way! 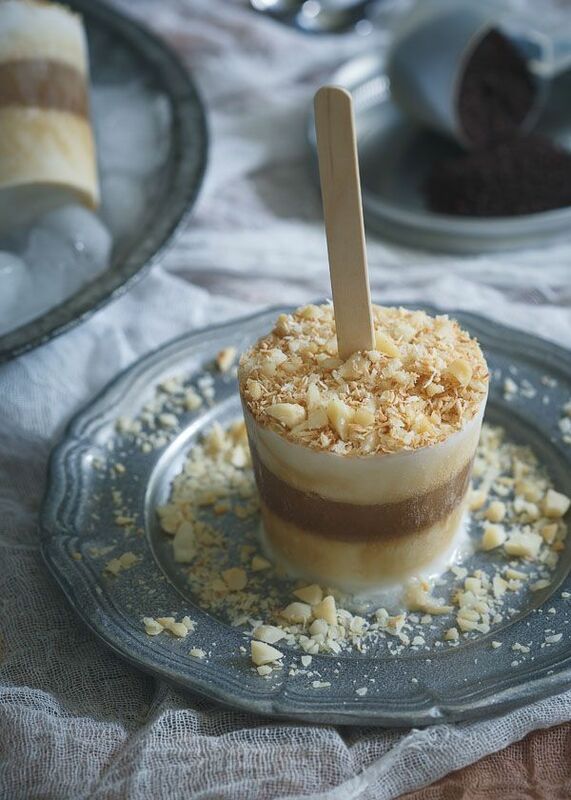 It’s always fun to play with grain-free recipes! + What Is A “Processed” Food? Really, it is what is says. (Not always bad though! I want to go berry picking! I think it’s a great idea! I would love to start! Omg! It all makes sense now! Life’s biggest mystery! Holy-Guacamole! I want to do this!!! I think this one is super important! Wow, if you have a while to read, read this. Very insightful, thoughtful, and comprehensive! I have not had luck with the ones I’ve tried, but maybe these! I don’t get it. Why is labeling SO hard and controversial? It’s just one or two words and keeps EVERYONE safe! Hahaha! This is SUCH a great read! (And sadly true and too real). What makes you want to scream? Really, there is something that will work and fit for everyone! Your life has just been saved! From the woman who knows! Love this! The power of beautiful words! All important when you finally start living your dream! I totally agree with NJ! 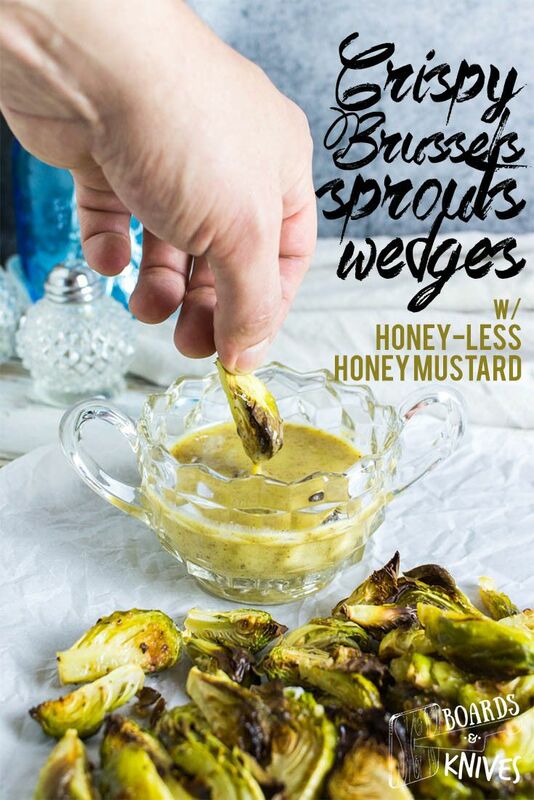 Crispy Brussels Sprouts Wedges with Honey-Less Honey Mustard. This is the best snack/appetizer ever! 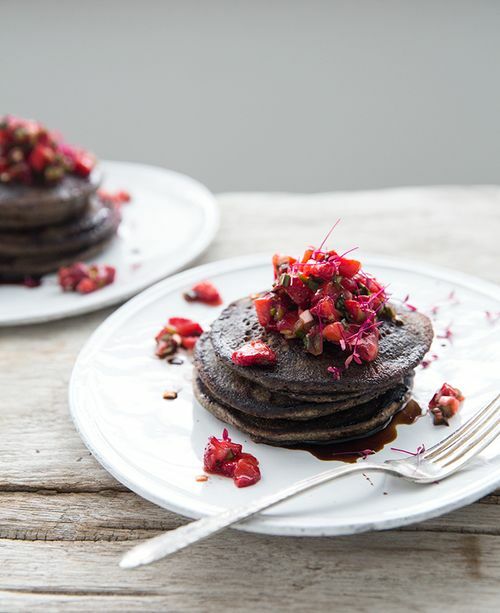 Poppy Seed + Buckwheat Pancakes with Strawberry Salsa and Balsamic Maple Syrup. Can you add any more flavor to these?! 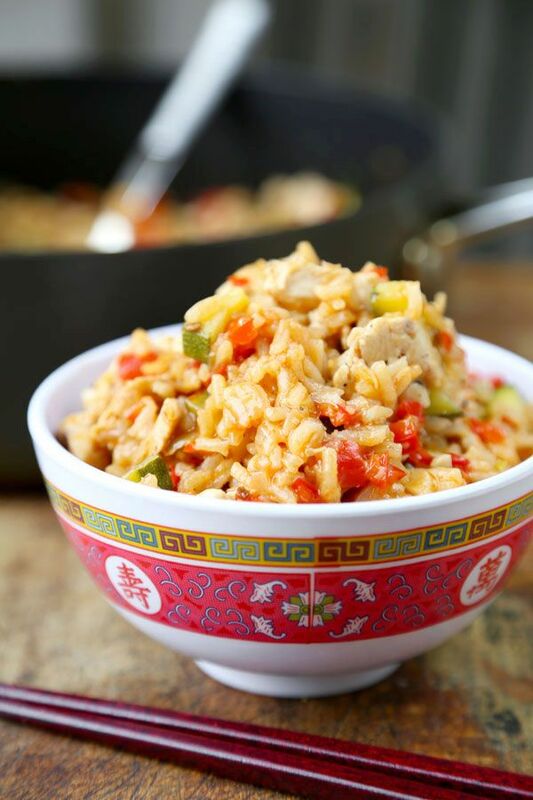 One Pan Szechuan Chicken Fried Rice. Loving the spicy Asian dishes right now! 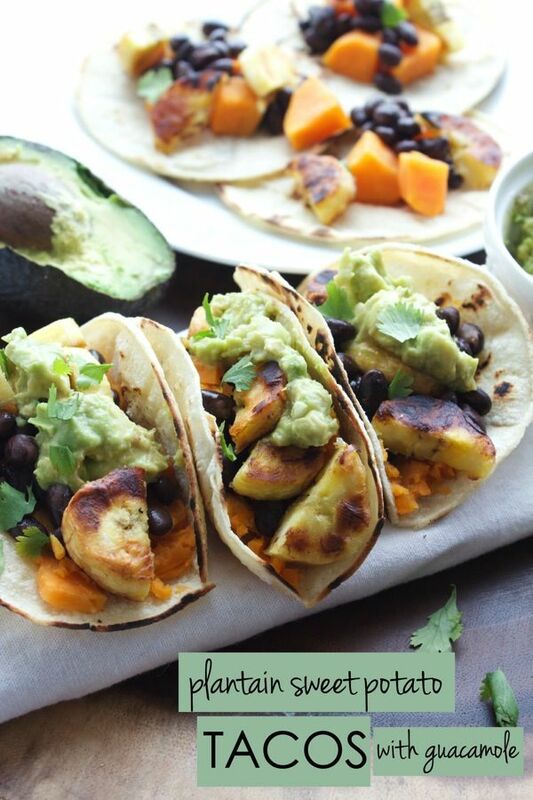 Plantain Sweet Potato Tacos with Guacamole. Best taco? 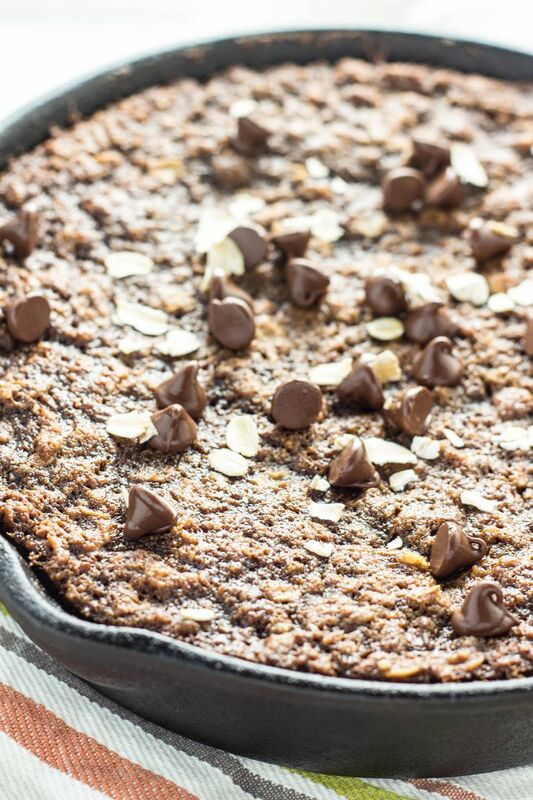 Chocolate Chip Oatmeal Skillet Cookie. There are no words for this chocolate cast iron wonder! 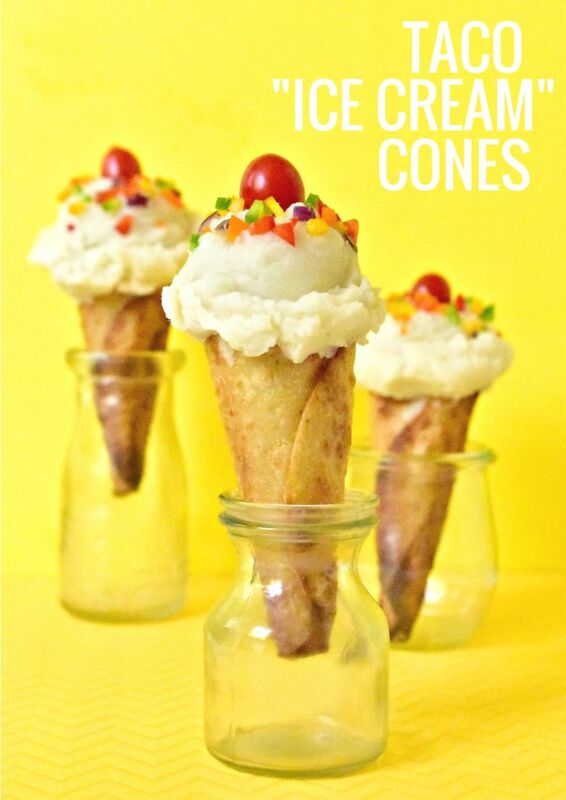 Taco “Ice Cream” Cones. Okay, maybe these are the best tacos! Haha! I don’t even know what to think! 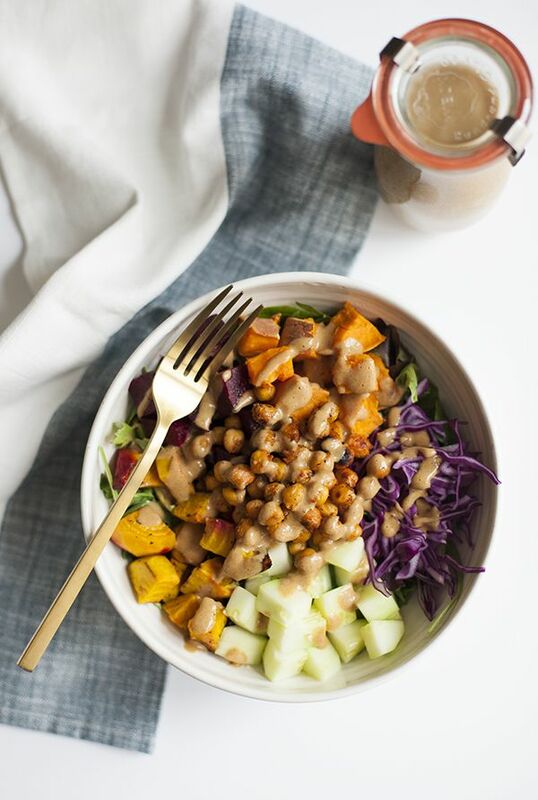 Sweet Dijon Vinaigrette and Chickpea, Sweet Potato, Beet, Vegetable Salad Bowl. That is one perfect bowl! 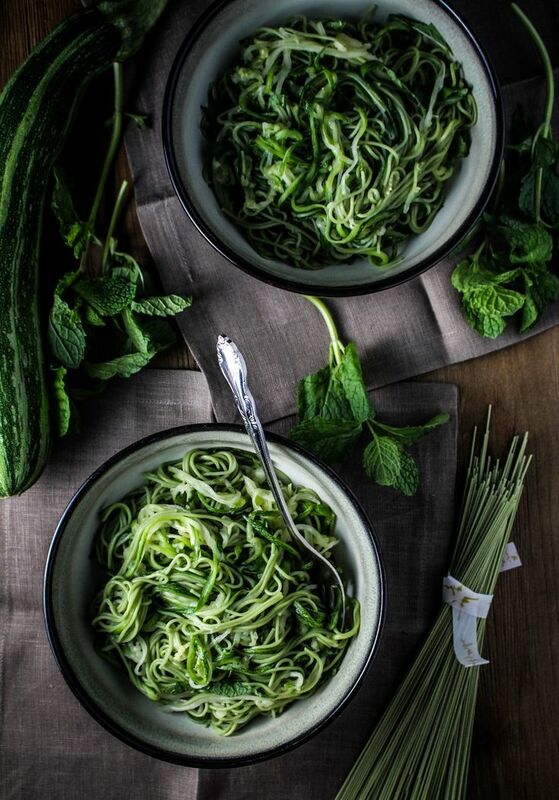 Green Tea and Zucchini Noodles with Ginger-Honey Sauce. That’s just too beautiful! 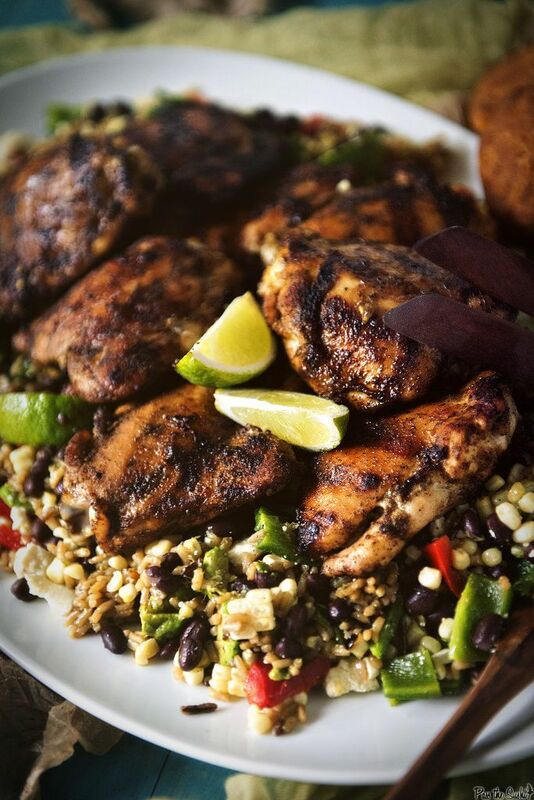 Grilled Chicken Thighs with Ancho Rub. I almost bought thighs this week but couldn’t find any good looking ones! 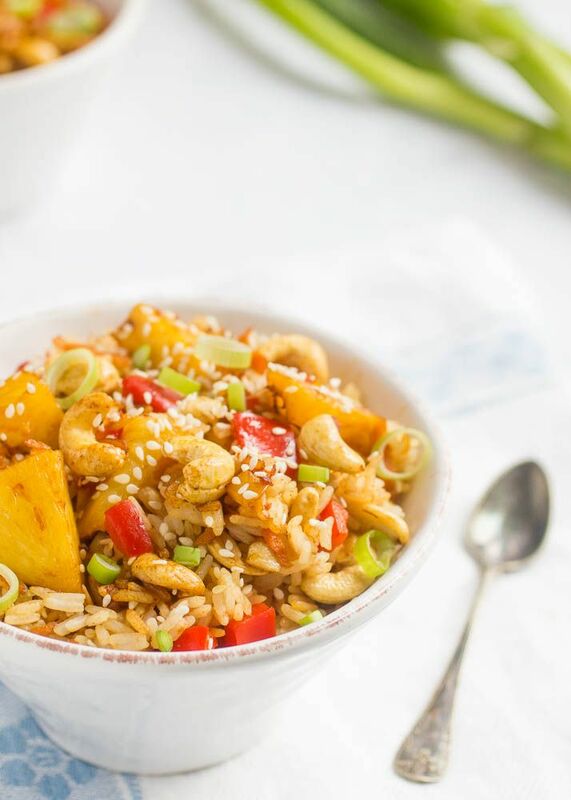 Thai Fried Rice with Cashews. Just ask my family about mu obsession with ALL Asian cuisines right now! 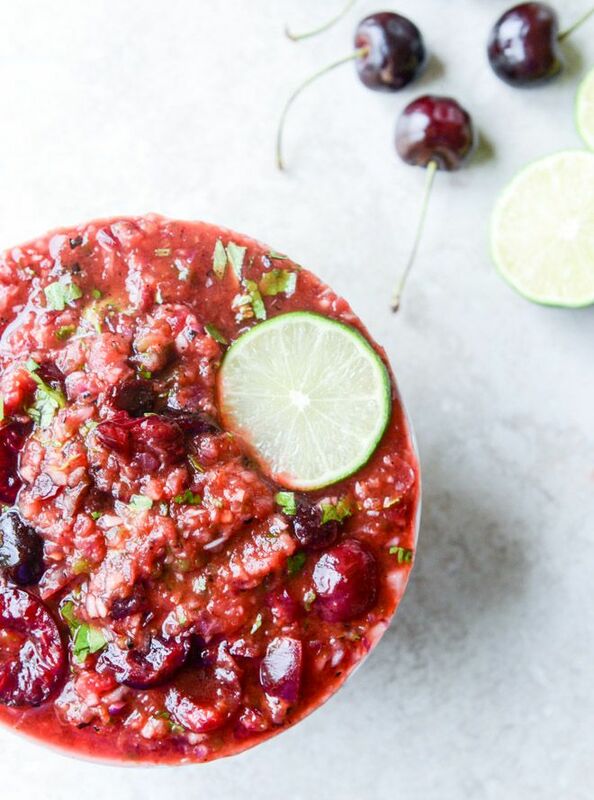 Grilled Cherry Salsa. Because it’s cherry season and we need to load up while they’re still at their peak! + 2 years of Strength and Sunshine! A huge accomplishment for me personally! + Another huge accomplishment this week…BAGELS! That’s right! I perfected the most perfect allergy-free vegan recipe ever and I literally cried with joy! + Just taking it easy. Easy summer days right now. I may feel lazy at times. but I think it’s been good to just have no obligations right now. + This video….basically my weekend anthem! + Do you have a favorite Strength and Sunshine post or recipe? Let me know! + What’s something big you’ve accomplished, or milestone you’ve reached lately? Love your first post! It’s a good one. Thank you so much! I’m glad to have you as a reader and friend! You may not change your opinion of kids – that’s ok! Don’t let anyone tell you differently. As for books – sometimes it comes and goes. When I was in college, I took a break from pleasure reading as I had waaaay too much school reading to do. Enjoyed your list. Thanks for mentioning our post! Congrats on the 2 year anniversary! Congrats on two years, Rebecca and finding your blogging purpose! I really love the Finisher, I always find so much useful info! And thank you so much for including the skillet cookie! I’m so happy for you! Your second year of blogging already? Wow! I know how it flies by so fast. It’s only my 4th month food blogging, but it seems like I just hit publish on my first post yesterday. Anyways, i wish the best for you and your blog. Congrats! Thank you dear! Same goes to you! Happy blogiversary and congrats on those bagels!!! They look yummy. happy 2 years sweet friend! you’ve come so far in so little time, that’s amazing and you should be proud! keep inspiring us! Congrats on your two year anniversary! And yum, yum, yum! I’ll never understand it enough to help my own blog! I just enjoy using it for personal use still, haha! I can’t believe that I left out the Congratulations on your blog anniversary that I meant to write! Haha, it’s all good 😉 Thank you dear! Yay! Happy Bloggiversary! It’s takes a lot of dedication to make it two years. You should be proud. Wonderful you found your purpose! Happy anniversary, celebrate how far you’ve come. Congratulations on two years!! That is wonderful! Haha, thank you so much Heather!! Okay, now HAPPY 2 YEAR-IVERSARY!!!!!!!!!!!!!!!!!!!!!!!!!!!!!!!!!!!!!!!!!!!!!!!!!! (Yes I am spamming you with way too many exclamation points…this is a big day, it’s necessary ;)) I didn’t realize Monday’s super exciting post had a recipe involved too! It’s going to be hard to wait 2 days…weekend go fast please! Spam away! !!!!!!!!!!!!!!! = celebrations! Happy anniversary and congratulations!!! So many great posts!!! Happy happy Blogiversary!! 😀 You do such a fabulous job!!! Wow, two years! That’s really exciting and a huge accomplishment! It feels like SO much longer! Haha! Thank you Erin! Congratulations on two years of blogging and creating a blogging empire! Seriously, you have one of the most accomplished blogs and recipe sites that I know of–you should be so proud of yourself. Also, you may have just made Michele’s life if you can accomplish a good gluten free bagel… Thank you for sharing my guest post on her blog, btw! O my gosh Susie, you are such a sweetheart! XOXO I’m glad that I’ve connected with you through this “empire” hahaha! The bagels…I’m still in awe at them! Hahaha! Congrats on 2 years blogging! We are heading back later today and I’m excited to get back to my schedule and the blog world. Thanks for including Susie’s guest post – very inspiring and wise words! Safe travels and ease back slowly! No rush, haha! Savor this disconnect! And yes! I love that girl! Happy Blogiversary! When do we get the bagel recipe?? Also, if you’re looking for a great natural deodorant, I love Lavanilla. You’ll need to reapply once or twice during the day but I love it. Haha, I don’t know 😉 Soon, but it may be awhile! I will totally look for it! Do you get it online? Does Vitacost or iHerb have it? Congrats on 2 years! I think that’s so great that you have a purpose and inspiration for blogging! It feels good to know my true FOOD blog passion now! Happy Blogiversary Rebecca! Congrats on 2 awesome years lady! And thanks for these links and causing me to droll all over my keyboard at those Crispy Brussels Sprouts Wedges with Honey-Less Honey Mustard! I really want to go berry picking too! And oh em eff gee, avocado forests, here we come! You must! Do it for me! Haha, so jealous if you do! Omg yes!!!! We can stop global warming AND the avocado shortage by planting avocado forests! CONGRATS! What a wonderful accomplishment and you deserve to celebrate. Thanks so much for including my post 🙂 Have a great weekend! Huge congratulations to you! I love your recipes. You’re a rock star! Congrats on 2 years and finding your niche! Love your blog. I wish I had time to read ALL of these now. Coming back over the weekend! Thank you Erica! Haha, the Finisher is always here for browsing!